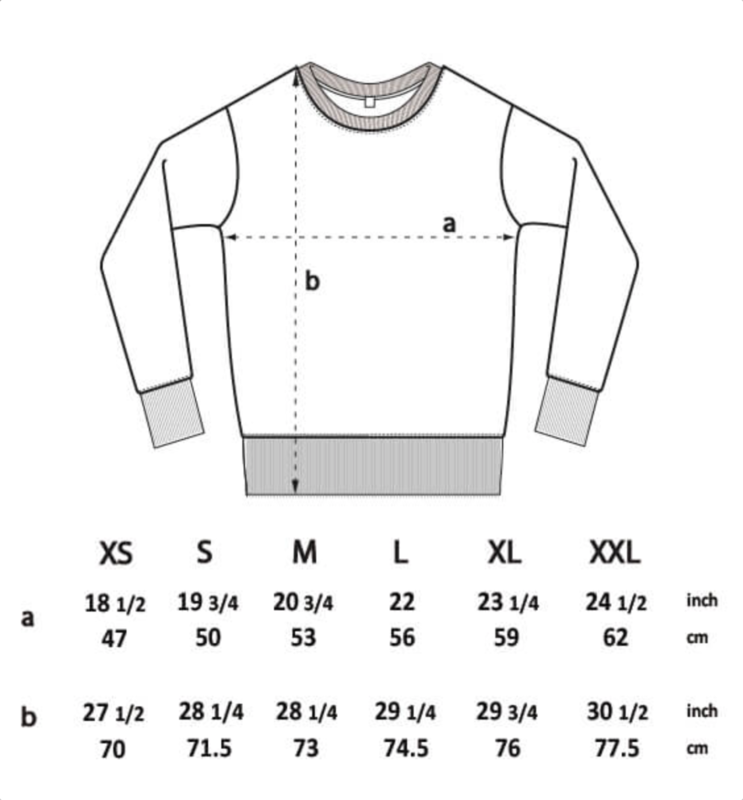 Our standard T-Shirts are probably larger than your favourite, so please lay your favourite T-Shirt flat and measure the dimensions on the diagram below to make sure you choose the best fit for you. 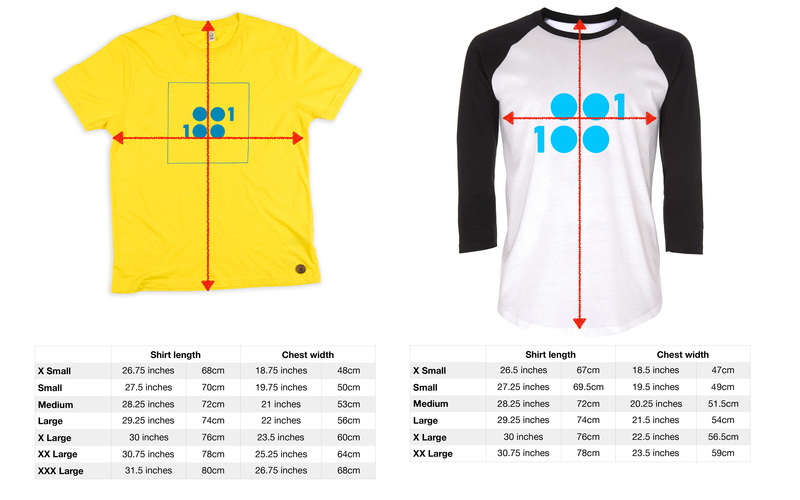 Just to make things interesting, our new Baseball T-Shirts are smaller, we'd buy a size up! If in any doubt please get in touch after you've ordered and secured your number. Check our returns policy, thanks. Are our T-Shirts any good? Yes, they are. And yes, they are. Obviously they look good and feel great. They’re also pretty damned good for the planet too. And they go even further. They use low-impact, organic cotton and manufacturing processes that minimise their environmental impact. So they use renewable energy, including wind and solar, wherever they can. Because they believe that sustainable manufacturing is the only way to create. They were the first company in the world to calculate the carbon footprint of each garment and print it on the label. They’ve since reduced this footprint by 90%, without using carbon offsetting. On the EP01 shirts we use, they calculate that each T-Shirt saves around 7kg of CO2e. By reducing greenhouse gas emissions to pre-industrial levels, all their EarthPositive® products proudly carry a ‘Climate Neutral’ label. The inks we use are low impact too. And they’re printed right here in Glasgow. So you get a T-Shirt that looks great to wear. And you get to feel good wearing it too.